This time last year, my belly was really starting to pop out, and I was investing in maternity clothes to fit my ever-changing body. Here I am at 20 weeks, right after we found out we were having a girl. These tank tops from Target were by far the greatest investment of my pregnancy. They lasted from the beginning of my pregnancy through my third trimester and beyond. Confession: I actually still wear these tanks. The material is durable and stretchy, so I can wear them to yoga even today because they haven’t lost their shape. Since they’re maternity tanks, they’re nice and long (plus the ruching is flattering), so they’ll keep my belly covered during a yoga session, which has always been a problem for me because of my long torso and larger chest (now even larger, post-pregnancy). Here I am early in my third trimester and the tank is still going strong. Pregnant or not, I recommend these tanks for workouts or to wear under sweaters and stuff. They’re the best! 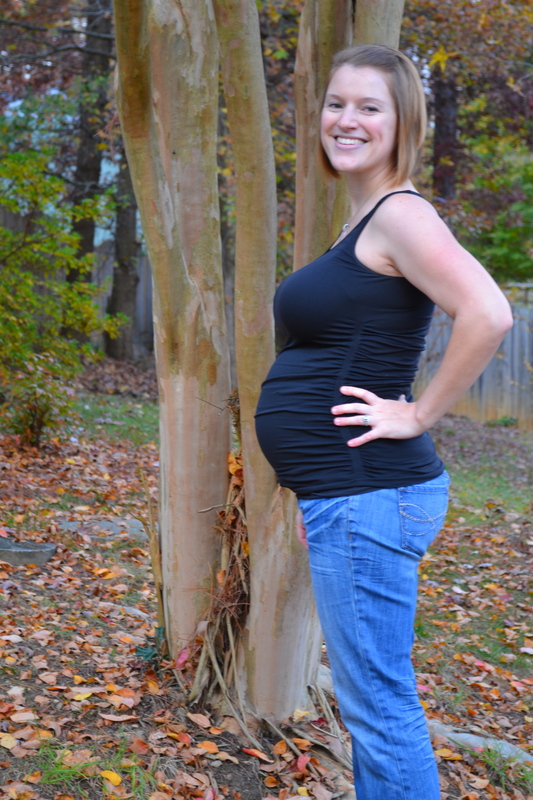 This entry was posted in Thursday Tip and tagged Maternity, Maternity clothing, Mom Style, Pregnancy. Bookmark the permalink.